Among the many ways an individual can ingest cannabis – edibles, vapes, capsules, tinctures – the joint has traditionally been the most accessible and most recognizable means of weed consumption. Symbolically, nothing conveys marijuana culture better than the image of a perfectly rolled joint. It’s easily the most practical option for consumption since it’s cheap, requires no hardware or tools, and can be carried discreetly. Though cannabis consumption via bongs, topical treatments, oils and edibles haven’t fallen far behind, sparking up a joint usually marks the beginning of cannabis use for most first-time users. As the acceptance of marijuana use continues to evolve due to recent cultural and legislative shifts, convenient pre-rolled joints are rising in popularity. Where Did the Joint Originate? Are Some Pre-Rolls Better Than Others? Where Can I Find Pre-Rolls in My Area? How Much Do Pre-Rolled Joints Cost? Joints are easy and quick to prepare for most smokers, but many these days are opting for the convenience of pre-rolled joints. Pre-rolls (or pre-rolled marijuana cigarettes) are a burgeoning product within the cannabis industry, with more and more dispensaries pre-packaging joints for sale. Brands entirely devoted to the creation of pre-rolls have even begun to spring up, with their main value proposition to consumers being ease and convenience, since rolling joints yourself requires time, skill, and all the right materials (which are often sold separately). Pre-rolls are typically prepared using the “shake” or leftovers from cannabis nugs that budtenders work with, ensuring that dispensaries maximize every bit of their inventory. This shake is often collected from the bottom of jars and/or any other areas where small flakes or crumbs can be gathered and loaded into pre-rolled papers or cones. Once gathered, the shake is funneled into several rolling papers or cones, then rolled by hand or by a pre-roll machine to be sold individually or in packets. Pre-rolled joints can be a very convenient and time-saving option, since users don’t have to grind their weed, buy their own papers and roll their own joints. Packages of 6 to 20 joints make them easy to share with fellow smokers. While cannabis has been used globally for thousands of years, using weed in joint form can be traced back to the Americas in the late 1800s. Back then, joints allowed recreational users to mix marijuana with tobacco, better known here in the U.S. as a spliff, while also allowing medical practitioners at the time to combine marijuana with other known drugs to treat certain conditions. Due in part to the joint’s popularity amongst the conquered peoples of the Americas and the Caribbean, propaganda quickly began to spread in the early 1900s, which led to the federal government outlawing of the possession and sale of cannabis in 1937. The “reefer madness” stigma remained for decades, but as baby boomers came of age in the ‘60s and ‘70s the culture began to shift and experimental drug use rose, resulting in a major surge in cannabis use. The joint remains intimately connected with counterculture, as the process of passing a joint came to represent sharing, community, freedom, peace, love, and mind expansion. Pre-rolled cones are a great way to roll a nice, smooth joint. Cones may be a bit more expensive than papers, but they can save lots of time and frustration for those who aren’t comfortable hand-rolling their own joints. A cone is rolled by evenly packing the bud into the mouth of the cone, then twisting its wide ends to seal it up. Cones are usually made from hemp, organic materials or flax paper. Cone filling machines are also available for commercial or personal use to simplify the process. Popular pre-rolled cones brands including RAW, Cyclones, and Cones. Rolling papers are small, thin sheets that allow individuals to roll their own joints. 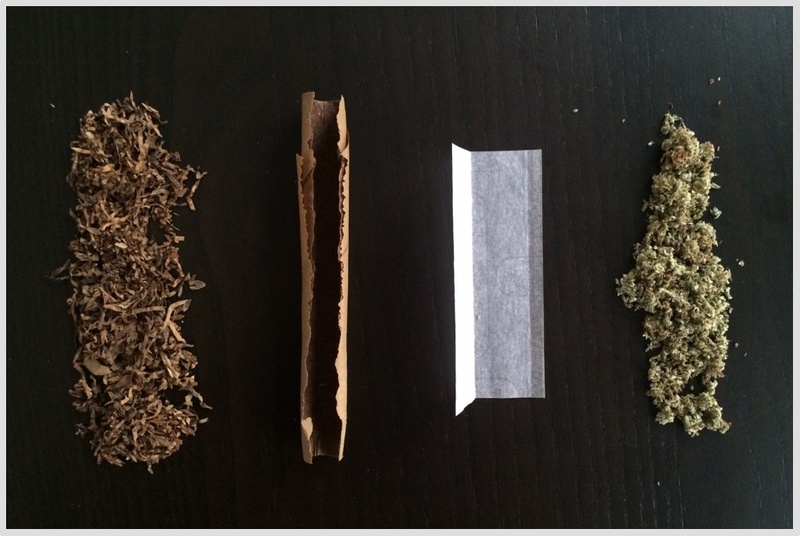 Most rolling papers come in lengths of 70mm to 110mm with varying widths. For some, using rolling papers is time consuming and can also be subject to poor roll quality (rolling too tight or too loose), which can interfere with the consistency of the joint. For others, rolling can be preferable due to control over the amount of cannabis they’d like to use. Popular rolling paper brands are: Zig Zag, Bambu, and Juicy Jay. 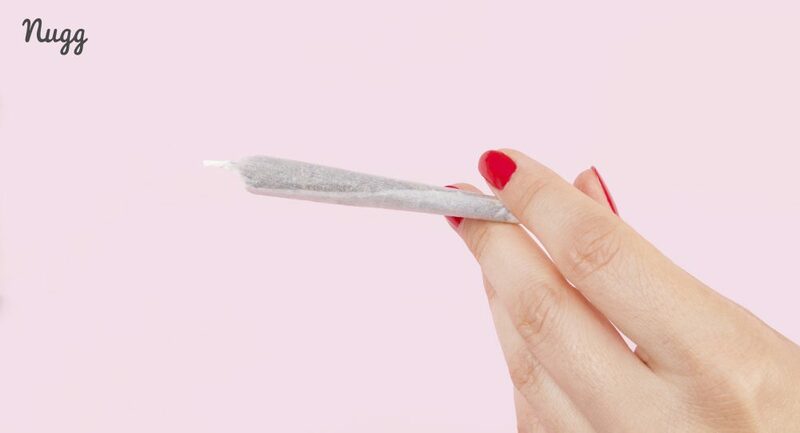 A pre-rolled joint contains a thin, light rolling paper that’s been loaded with cannabis and sealed, while blunts are rolled by filling thicker, heavier cigar paper or wraps (usually cigarillos) with cannabis and are often larger than the average joint. Popular blunt wraps include: Dutch Masters, Phillies, and Swisher Sweets. While both options will give you a smooth psychoactive experience, keep in mind that pre-rolled blunts are wrapped in cigar paper and contain a bit of nicotine that’ll add to the calming effects of the tobacco leaf it’s wrapped in. So those looking for a marijuana high only should stick with pre-rolled joints. However, if a bit of nicotine isn’t an issue, a blunt can last much longer than joint (especially when passing it around at a social gathering). While the prospect of more pre-rolled joints on the market can be exciting, not all pre-rolls are made equally. In fact, many cannabis users take issue with the low quality shake used in pre-rolls offered at dispensaries, especially those who are accustomed to grinding their own nugs and can’t always be sure whether stems, seeds or other debris might be present in a pre-roll. Are you a cannabis patient in California? Click here to order cannabis delivery (including a huge selection of pre-rolls) from dispensaries in your area, and get doorstep delivery in about an hour! This unease has led many to doubt the quality of pre-rolls, which has opened up the market for boutique companies to capitalize on the pre-rolled joint market by offering select, high-quality strains and artisanal packaging for more discerning smokers. On a mission to help eradicate the stigma of cannabis use, Bloom Farms works with local California farmers to cultivate the finest cannabis in order to promote a healthy and fulfilling lifestyle. Type of cannabis? 100% full flower containing at least 3/4 grams of high-end cannabis. Hand or machine rolled? Each pre-roll comes in hand-rolled cones. Additional products? 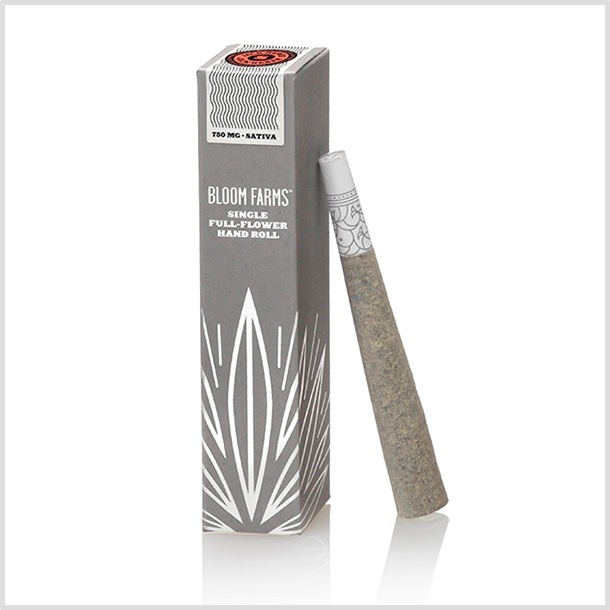 Bloom Farms also sells cannabis oil and portable vape pens. 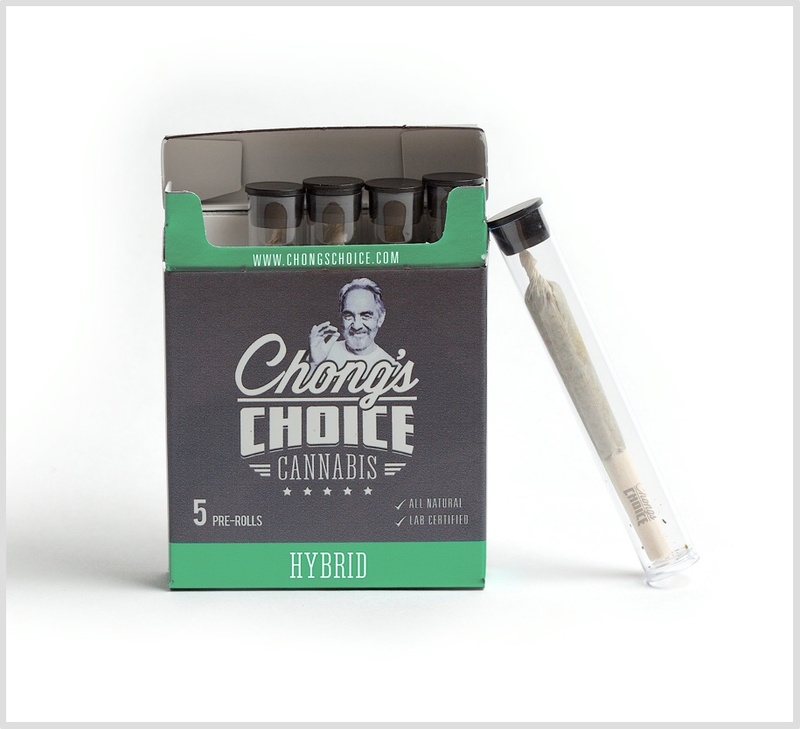 Actor, cannabis advocate and all around hero, Tommy Chong offers a list of hand-selected, quality cannabis products including pre-rolled joints. Type of cannabis? .75g of cannabis flower per pre-roll in either indica or sativa. Hand or machine rolled? Machine rolled into all natural rolling papers. Additional products? THC strips, cannabis oil. Rolling a small joint is no longer tedious, as Triple J offers five local cannabis blends ranging from hybrid to sativa in pre-rolled form since 2009. 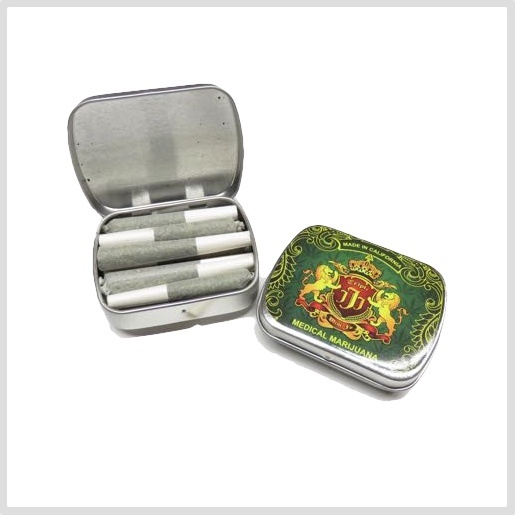 12 joints come in stylish yet handy tins for safekeeping. Type of cannabis? 4 grams of high-grade cannabis flower per 12 mini js. Hand or machine rolled? Machine rolled. If you’re searching for a pack of joints in your area, you may come across many foreign or out-of-state retailers who are dubiously selling pre-rolls online. Be wary of any company that doesn’t require a doctor’s recommendation or a medical marijuana card to purchase pre-rolled joints or blunts. Though it may seem like a convenient deal from the onset, most of these operations are either outright scams or tend to deliver subpar products. If you’re looking for marijuana joints for sale, the best way to find who’s got quality pre-rolls in your area is to visit Nugg, which provides a comprehensive database of licensed storefront and delivery-only dispensaries to choose from within California. In addition to its extensive dispensary listings, NuggMD provides Californians with 420 doctor’s recommendations and state-issued medical marijuana cards legally and affordably via their easy-to-use website. Whether you need your MMJ card or would like to order pre-rolls online and arrange a quick pickup or delivery, NuggMD and Nugg are convenient, centralized hubs for 420 doctor evaluations and shopping for a range of cannabis products (note rolling papers, cigarillos and cones must still be purchased from smoke shops and convenience stores in-person or online). Keep in mind that the cost of pre-rolled joints will vary depending on the dispensary, so note you’ll get what you pay for. Cheaper pre-rolls usually contain weaker, lower-grade cannabis while more expensive rolls will have stronger, higher-end strains and might also be coated with wax and/or dusted with kief. With Nugg’s Marketplace, you can easily compare prices as well as search for special offers and deals on pre-rolls. Find out if delivery is available in your area – enter your address and have your favorite cannabis products delivered to your door!